An American ski expedition to the 8,516-meter-high Lhotse is already at an advanced stage. 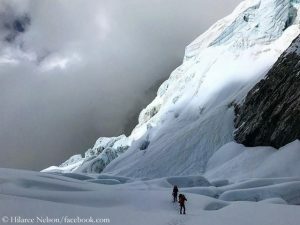 The route through the Khumbu Icefall has been set up and the team climbed to Camp 2 at 6,400 meters to acclimatize. 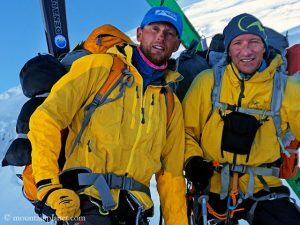 Expedition leader Jim Morrison, Hilaree Nelson, Dutch Simpson and Nicholas Kalis have a ski permit from the Nepalese government that allows them to ski down the north flank of the eight-thousander. 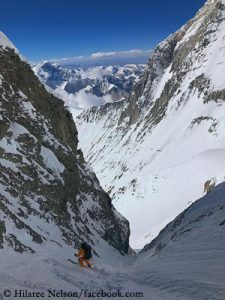 The ski descent via the so-called “Dream Line” – from the summit through the Lhotse Couloir to the Western Cwm – has so far not been completed. Hilaree Nelson, who was elected “Adventurer of the Year 2018” by the magazine “National Geographic”, is an extremely experienced ski mountaineer. 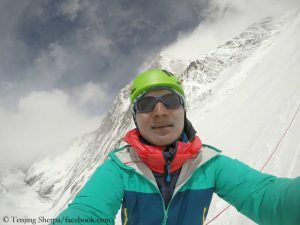 In 2017, she succeeded with Morrison and Chris Figenshau the first ski descent of the 6,451-meter-high Papsura, also called “Peak of Evil”, in the Indian part of the Himalayas. In 2012, she reached the summits of Everest and Lhotse within 24 hours. By the way, nobody will tackle the highest mountain on earth this fall. 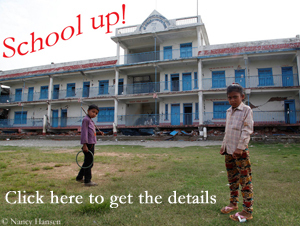 The good weather window in the Himalayas is impressively long. 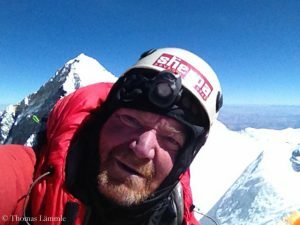 Since this spring’s first ascent of Mount Everest on 13 May by the Sherpa team that had fixed the ropes up to the summit on the south side of the mountain, climbers have reached the highest point at 8,850 meters day after day.